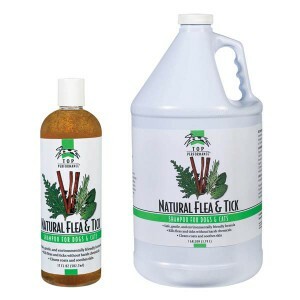 Top Performance Natural Flea and Tick Shampoo is a natural flea control shampoo for pets is an effective way to kill fleas and ticks without using harsh chemicals or pyrethrin-based pesticides. Conditions and moisturizes the skin and coat with aloe, lanolin and vitamin E antioxidants. Leaving your pet with fresh, clean herbal scent. Work to kill fleas and ticks on contact and to prevent reinfestation. Safe to use for both dogs and cats over 12 weeks old. Lochte Feed and General Store carries a large selection of natural flea and tick remedies, natural pet food, pet treats and supplies for all your needs. Shop local and stop by our location in Fredericksburg, TX for all your pet’s needs. This entry was posted on Saturday, May 6th, 2017 at 10:04 am	and is filed under News & Updates. You can follow any responses to this entry through the RSS 2.0 feed. Both comments and pings are currently closed.